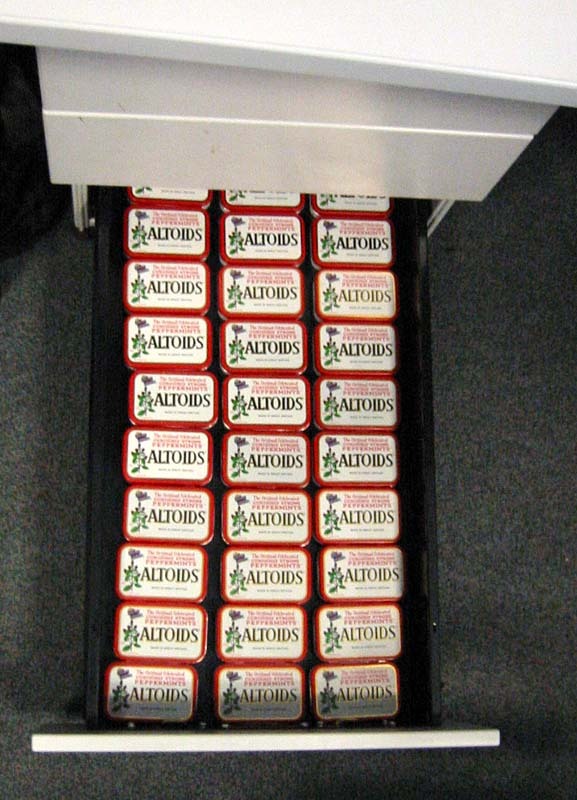 A while ago, Nigel gave Phil 29 empty Altoids tins that he had collected in his drawer. To help publicise blinman.com he decided to run a 'pule' auction on Ebay. If you are wondering what a pule auction is, check out cockeyed.com. 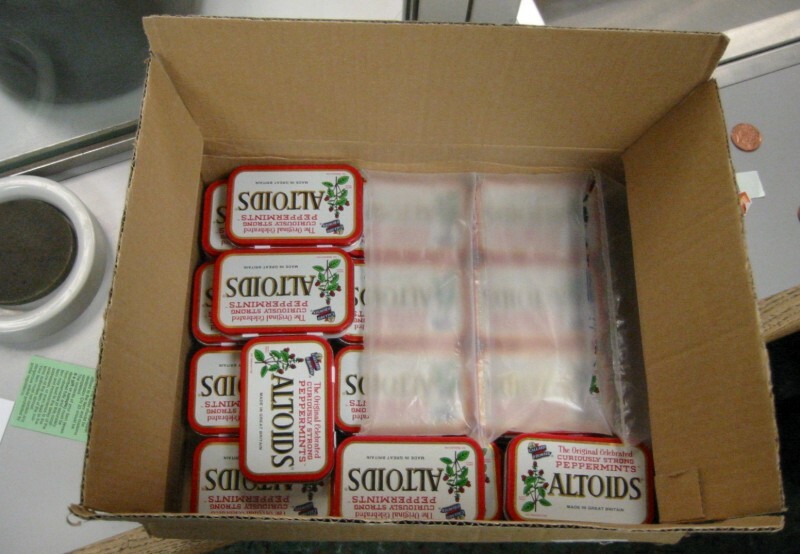 The auction was just a joke, but unfortunately someone in California actually wanted the tins, and won the auction! A whole $11. That's 38 cents each or 24 UK pence per tin. 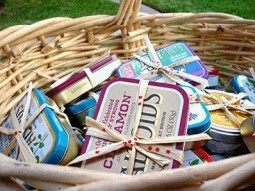 This is what the tins looked like in Nigel's drawer. You can see why Phil was happy that Nigel gave them to him. Someone called Anjali Pathak won the auction. 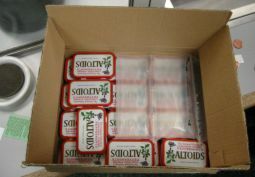 Phil parceled up the tins using an old Amazon.co.uk box he found at work. 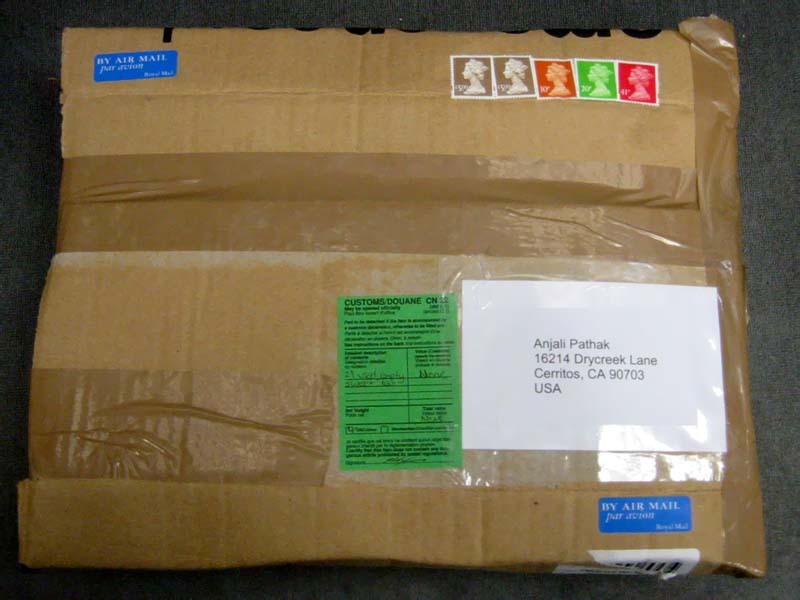 You might tell from the picture: the postage was £10.71. More than the auction value! Hope you enjoy the tins Anjali.